The Archives and Records Management Section (ARMS) is responsible for all aspects of UN recordkeeping, ranging from measures to ensure that United Nations officials create records in the course of their duties, through the management of records in United Nations departments and offices, to preserving and making records of continuing value accessible as United Nations archives. All United Nations staff members should know that all information they collect or create in the conduct of business, irrespective of its format, is the property of the United Nations. Most records created as a result of the United Nations business have a finite retention period and can be destroyed when this period has expired. 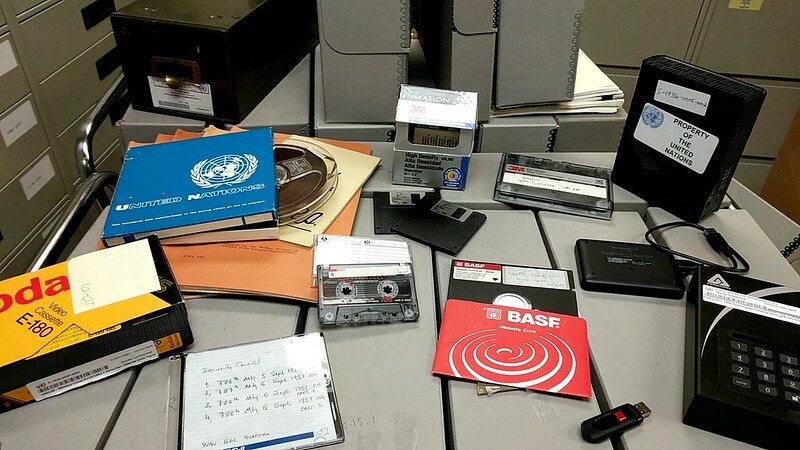 A small percentage, however, is preserved as United Nations archives because they are of enduring value to the United Nations and/or to the public. As a coordinating office in the Department of Management for the UN Secretariat, ARMS provides direct support and guidance on the management of UN records throughout their lifecycle via a range of services and resources. ARMS provides the following assistance to UN offices: file classification schemes, retention schedules, and records transfer, storage, retrieval, and disposal. Please visit our guidance page for an in-depth understanding of how to define a record, the records lifecycle and best practices for managing records in your office. You can also learn about managing risk, digital preservation and UN policies on records management.